When most of us are told that we are getting an ultrasound we think of the kind that generates an image such as when a pregnant woman receives an ultrasound to “get a look” at the baby and observe the progress of the pregnancy. This type of ultrasound uses a very low power level. If the power level is increased, the sound waves generated can help heal bone fractures. Highest intensity and more focused ultrasound can be used to breakup tissue such as gallstones and certain types of tumors. Promote muscle relaxation and reduce muscle spasms and pain. We do not use ultrasound in our office to generate pictures or breakup gallstones, we use ultrasound as a therapeutic tool to help heal muscle, ligament and tendon injuries. Ultrasound, as the name suggests, is a sound wave. The sound wave is created by a small quartz crystal that vibrates at specific frequencies (1 MHz to 3 MHz) inside the sound head called the transducer. The sound is outside our hearing spectrum so we can’t hear it. The sound waves travel through your skin and into your muscle. The ultrasound technician can adjust how deep the sound waves travel by adjusting the sound frequency (lower frequency sound waves will travel deeper into the affected area to a depth of about 5cm). This means that the sound waves can be targeted directly to the injured area. 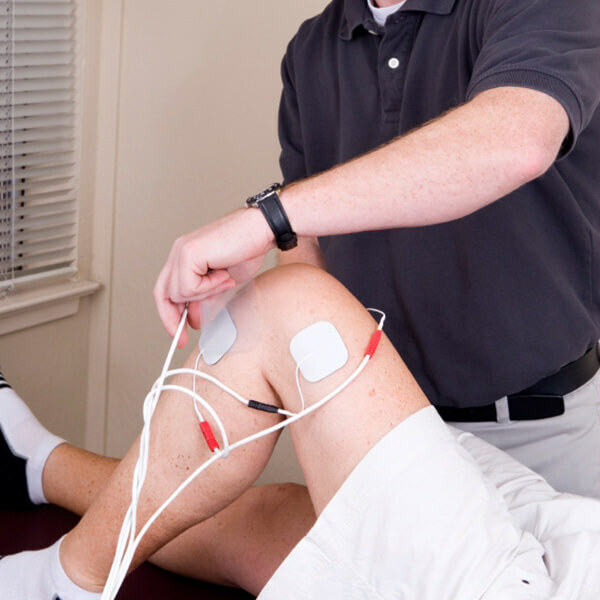 Learn all about what to expect from our physical therapy program.